Providing beginning-to-end legal discovery services and solutions. Celerity provides a full range of consulting and technology, on both a strategic and tactical level, across the discovery lifecycle. We are consultants by nature, which means we value your satisfaction first and foremost. Our points of pride are our thoughtful agility, our breadth and depth of discovery capabilities and our emphasis on project management and quality control. Our technology approach is adaptive: we offer our own in-house electronic discovery tools, such as Oliver, as well as industry-standard applications like EnCase, Nuix, and Content Analyst. We are also a Relativity Premium Hosting Partner. Our motto is that technology should not determine the approach – your needs should. Whether your needs are specific, such as a tactical imaging request, or broad, such as help managing discovery from identification to production, you’ll find us to be just the partner you need. Advising on discovery scope and strategy to help ensure an effective and successful litigation. Preparing for Rule 26(f) meetings; advice on scope and limits, rolling discovery, production formats, waivers, etc. Beyond the identification phase, Celerity makes a point of providing a strategic perspective while managing and executing the discovery support tasks required. We also can help you develop a proactive litigation readiness strategy and a standard approach to discovery across cases. Ensuring a strong case and minimizing sanction risk through effective preservation and thorough collection. Legal hold: Managing dissemination of and response to preservation orders. Collection strategy: Recommending the right data collection approach (e.g. imaging or targeted collection or a combination of the two, custodial versus enterprise collection, back-ups versus live data, etc.). Data source scoping: Assessing which in-scope data sources have responsive data (through server scans, back-up tape header scans, viewing sample files in native format, etc.) to narrow the population to collect. Web-based surveys: Fielding web-based, standardized surveys to ensure all responsive data is identified. Follow-up custodian interviews to clarify evidence scope and make collection visits more cost-effective. 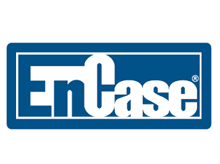 Forensic collection: Rapidly deploying EnCase Certified Examiners and consultants to collect the evidence in a forensically-sound manner, protecting against spoliation. Additional digital forensics services such as finding and restoring deleted or hidden files, or researching computer usage. Archival data: Restoration and collection of archives and backup data. 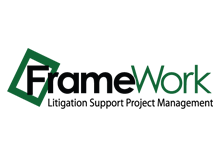 Chain of custody: Following best-practice procedures throughout for devices, paper, and ESI. Preserving chain of custody through proper approval and documentation at each phase of the process. Reporting: Tracking and reporting by custodian; monitoring collection scope from point of identification to final delivery. Gap analysis upon collection completion. Celerity’s years of experience in advising on and managing data preservation and collection efforts is unmatched. Our specific collection strengths include our ability to scale rapidly, our professional approach, our fluency with hard copy, and our experience with almost all electronic data types and platforms. Whatever your case size, Celerity can deploy just the right resources quickly to ensure an efficient, accurate, and defensible collection. Early case assessment to reduce the data population. Analytics to accelerate the review and ensure accuracy. Celerity helps clients get better visibility into their case data and to defensibly reduce the data set to process and review, thereby reducing discovery cost and timeline. Our clients make better early case assessment decisions with our advice on early data assessment. Specifically, we help craft a strategy for making defensible culling decisions before processing and before review. Pre-Processing Culling: After collection, Celerity uses proven techniques such as “de-NISTing” and metadata searching and filtering to weed out significant quantities of non-responsive data. Through real-time reporting on the impact of various searching and filtering criteria, the ability to preview data in native format prior to processing, and random and logical sampling of the excluded data set to confirm non-responsiveness, you’ll be able to make defensible decisions about your final culling criteria. Pre-Review Culling: Celerity can run similar search and filter analysis after processing, when files have been de-compressed and de-duped, and more meta-data is available. Again, we recommend performing both random and logical sampling to the excluded data set prior to finalizing the culling criteria. Our analysis services can also dramatically improve your review and overall case effectiveness. The technical approaches we provide are proven to improve responsive, issue, and privilege coding consistency and decrease review time. Near Duplicate Analysis: This technology-based technique, also called “text near-duping,” groups documents, which are nearly identical in content and word order, based on similarity thresholds established by the client. This allows reviewers to examine a set of documents at once rather than separately. Email Threading: Email threading is similar to near-dupe analysis in that it groups documents – in this case, emails – together to decrease review time and improve coding consistency. The technique links independent email messages that are part of the same “thread” or conversation (using content, not just metadata) identifying the last email in the thread. Technology-Assisted Review / Predictive Coding:Predictive-coding software uses user-defined “exemplars” of responsive and non-responsive documents to train a coding engine, which then applies those decisions across the data population. Celerity assists in defining the exemplars, applying the technology, and verifying predictive coding accuracy. Conceptual Search/Clustering: This technique groups documents together based upon conceptual similarity. It provides both a broader and deeper view of the data by letting the documents “speak to you” by exposing common themes or “clusters” that may not have been revealed by Boolean or “2G” search technologies. Used in conjunction with a linear review, it can be a valuable addition to your case research toolkit. Or, it can be used as a primary tool for performing a non-linear review. Review Verification: Prior to production, Celerity recommends random sampling of the non-responsive data set to confirm exclusions and strengthen the defensibility of your discovery decisions. Making evidence more searchable and distilling the review population. 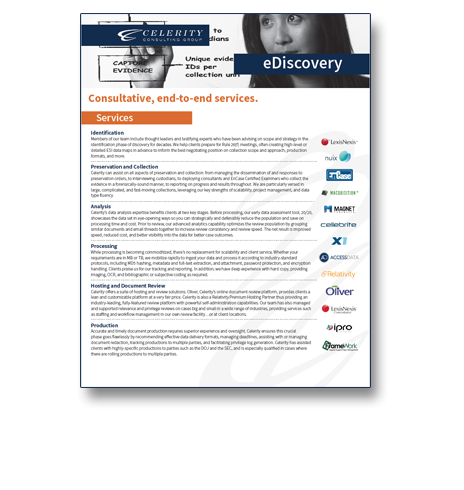 Celerity’s ediscovery processing solutions have been developed and refined over many years of experience working closely with our clients to understand their needs. Whether your requirements are in MB or TB, we mobilize rapidly to ingest your electronic data and process it according to industry-standard protocols. Celerity’s team skillfully handles all manner of ediscovery processing requests. We shine most in complex and large scale processing efforts, with very large data sets, a multitude of data types, and extreme deadlines. Converting paper documents to electronic records to enable more effective review and production. Celerity provides rapid, tactical support on paper discovery requests. We have both in-house resources as well as a network of proven onshore and offshore vendors to ensure we are always able to meet client needs, large or small. We differentiate ourselves on service. Every project is led by an experienced manager who focuses on responsiveness and data quality. And, our rates are extremely competitive. Contact us for a price guide or quote. Offering Relativity and Oliver hosted at a world-class facility. Celerity offers clients two hosted review options. Relativity Hosted Review: Relativity is an industry-leading, full-featured review platform with self-administration capabilities to allow clients to handle the management aspects of the review. Oliver Hosted Review: Celerity’s online document review platform provides a lean and customizable feature set at a very fair price. Should you need additional assistance with your review, we provide document review services to advise on the approach, handle the recruitment, deliver the training, provide the facility and workstations, manage the reviewers to ensure quality and productivity, and report daily on progress and results. In addition, Celerity provides analysis services such as Technology Assisted Review (i.e. predictive coding), conceptual search/clustering, and near-duplication to tag and group documents for an accelerated review timeline. Eliminating risk and lowering cost through managed review services. Management: Celerity provides a dedicated project manager to serve as your single point of contact. This manager will help you define the review workflow, report regularly on productivity and results, and handle the challenges of managing multiple reviewers, multiple waves of review and criteria changes. Quality. In addition to ensuring proper review workflow and management, your manager will further minimize risk of error by ensuring appropriate training at project inception and throughout. In addition, our team uses production line quality control techniques such as performing 100% QC on beginning reviewers, “halting the line” for ad-hoc training if review criteria changes, and performing regular random sampling of reviewed documents to confirm accuracy. Staffing: Celerity can hire contract attorneys and/or subject matter experts to supplement client attorneys as needed. We work with proven legal staffing agency partners who offer competitive rates. Many of our consultants are also skilled at document review and can be leveraged as needed. Choice of Review Platforms: Choose between Oliver and Relativity for your review platform. Review Facilities: Our primary review facilities in San Francisco and Seattle can provide up to forty dual-screen workstations. We can also provide technology, hardware, and staff to conduct a document review at another location. Review Optimization: Celerity can provide analytics such as email threading, near de-duplication, predictive coding (Technology-Assisted Review or TAR), and concept clustering for an accelerated review. Celerity can advise on non-linear review methods as well. See our analytical services above for more details. Production sounds easy. Why is it not? Celerity has assisted on productions to meet the specific requests of parties, such as the DOJ and the SEC, and is especially qualified in cases where production specifications or logistics are highly complex. We also provide ad-hoc assistance for productions or other litigation efforts; see our document services. We are consultants by nature which means we value your satisfaction first and foremost. Our points of pride are our thoughtful agility, our breadth and depth of discovery capabilities and our emphasis on project management and quality control. Our technology approach is adaptive: we offer our own in-house electronic discovery tools, such as our Oliver Hosted Document Review Platform and our Electronic Data Collector as well as industry-standard applications like EnCase, Nuix, and Content Analyst. 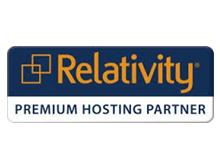 We are also a Relativity Premium Hosting Partner. Our motto is that technology should not determine the approach – your needs should. Whether your needs are specific, such as data processing, or broad, such as help managing discovery from identification to production and beyond, you’ll find us to be just the partner you need.